With a site that contains 7 principal contractors and ever changing pedestrian and vehicle access routes, it is important that these routes are communicated effectively. 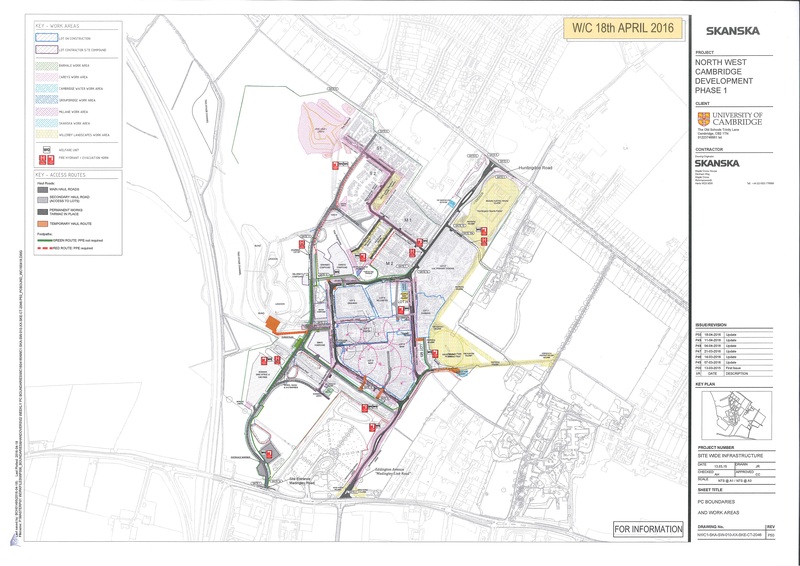 One way in which we do this on the North West Cambridge Development is to produce a weekly map/drawing and distribute this to everyone on site so that they are fully aware of the current situation. This is also put up on noticeboards around the site and in the security office so that visitors and newcomers can see how they can safely get around the site.